Gun Godz is a free game (alternate link to download for free or buy) developped by Vlambeer. 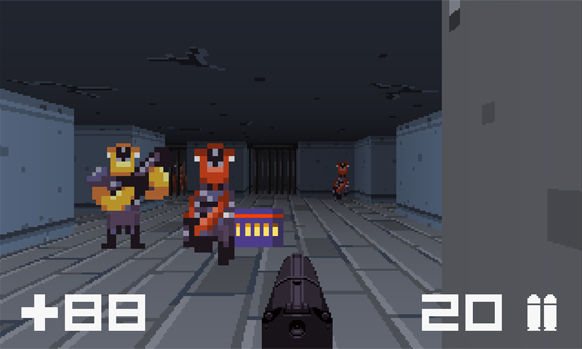 It is a FPS (First Person Shooter) in the vein of Wolfenstein 3D, with the pace of Doom. There are 52 triangles in the 16 levels. They unlock bonus levels and the gold paint for the weapons. 48 triangles are obtained by acing the levels: 100% kills, 100% items and a completion time under the required time. These conditions have to be cleared at the same time to validate 3 triangles for a level. 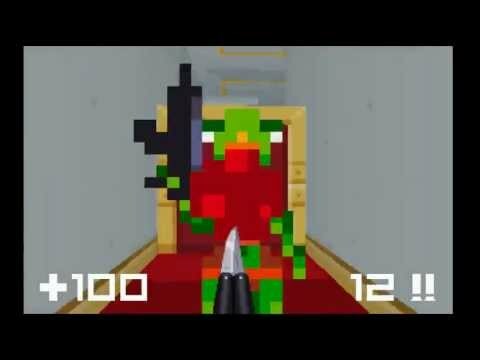 100% video run of all individual levels (including speedrun and secret triangles) on this link.